Dual citizenship — or dual nationality — means being a citizen of two countries simultaneously and sharing the rights and responsibilities of the citizens in each country. Not every country allows dual citizenship, and the rules vary among those that do. Does the United States allow dual citizenship? Yes, practically speaking. The U.S. government does not require naturalized U.S. citizens to relinquish citizenship in their country of origin. Although the Oath of Allegiance to the United States speaks of renouncing “allegiance and fidelity” to other nations, U.S. immigration law does not explicitly address the topic of dual citizenship. The best summarization of the U.S. government’s position on dual citizenship lies in a U.S. Supreme Court opinion, which explains that “a person may have and exercise rights of nationality in two countries and be subject to the responsibilities of both.” The U.S. Department of State also has a more technical discussion of dual citizenship. Just because the United States allows dual citizenship, however, doesn’t necessarily mean your country of origin does, too. Some countries, such as China and India, will not recognize your status as a naturalized American on their soil. You may even lose your citizenship automatically in those countries upon becoming a U.S. citizen. It’s therefore important to understand the dual citizenship rules in your country of origin before pursuing U.S. citizenship. Ready to apply for U.S. citizenship? You can check your eligibility through Boundless without providing any personal or financial information. Boundless can then guide you through every milestone of the naturalization process, starting with your N-400 application all the way to the finish line. Learn more, or start your application now. Not sure if you qualify for U.S. Citizenship? You can work anywhere. You can apply for employment anywhere in the United States without first obtaining a work visa. As a dual citizen, however, you could be overlooked for certain federal jobs, which often require a security clearance and the ability to maintain confidentiality of classified state information. That could be a challenge if you’re also loyal to a nation that has conflicting interests with the United States. You can travel without restrictions. You can travel abroad for as long as you’d like without any risk of losing your U.S. citizenship. And if you plan to stay outside of the United States for longer than a year, you won’t need a re-entry permit in order to return, as is the case for green card holders (permanent residents). You can obtain green cards for your family. Your parents, adult children, and siblings can apply for their own green cards. You can vote. You can vote in any U.S. election. In the United States, only citizens are allowed to vote in federal elections. You can attend school. You can enroll in a U.S. school without a student visa and without paying international student tuition rates. You can access public benefits, if necessary. Assuming you meet the eligibility requirements, you can apply for public benefits, including access to tuition assistance that’s available only to U.S. citizens. You must disclose any previous encounters with law enforcement. U.S. Citizenship and Immigration Services (USCIS) officers who evaluate citizenship applications scrutinize to applicants’ backgrounds very heavily. Certain types of violations, such as immigration fraud, drug abuse, or domestic violence, could expose you to the possibility of deportation. If you’re concerned about your history with law enforcement, it’s important to seek legal help before applying for naturalization. You must serve in the military if required by law. 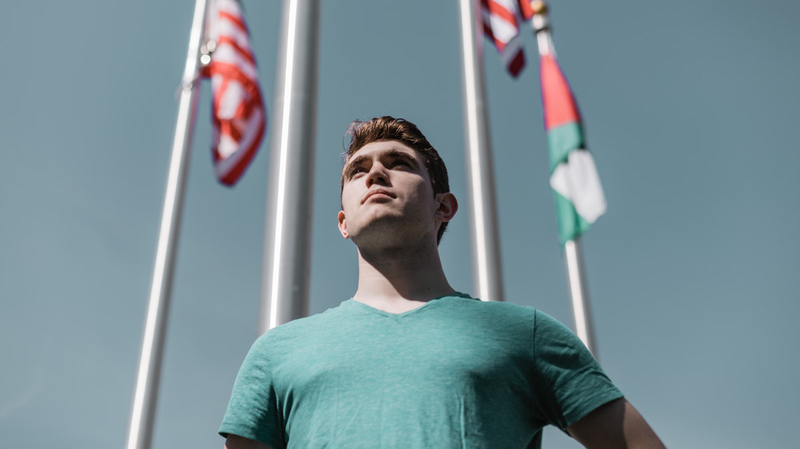 All males who have lived in the United States or received a green card between the ages of 18 and 26 — unless they had an immigration status other than “green card holder” — are required to register with the Selective Service System. In case of war, a U.S. citizen must serve in the U.S. military (in combat or otherwise) if called upon to do so by the government. You must serve on a jury when summoned. Jury duty is mandatory for all U.S. citizens. You may not necessarily need to serve, however. The judge and attorneys in a legal proceeding must select you as a jury panelist in order to actually serve. The selection process happens after you are summoned to court. Want to save thousands of dollars on legal fees? For the flat rate of $395, Boundless helps you complete your entire naturalization application, including all supporting documents, independent attorney review, and support from the moment you file your application until you obtain U.S. citizenship. Check your eligibility through Boundless without disclosing any personal or financial information. Or learn more about our services. How can I obtain dual citizenship in the United States? There is no application or form available to file for “dual citizenship” in the United States. Obtaining dual citizenship simply means applying for a second citizenship. Before you apply for U.S. citizenship as your second citizenship status, it’s crucial to contact the embassy or consulate of your country of origin to find out whether that country allows dual citizenship in the first place. Otherwise, you may lose your citizenship in that country without knowing. Once you’ve determined that your country of origin will recognize your U.S. citizenship status, you will need to make sure you’ve satisfied all naturalization requirements (unless you qualify for U.S. citizenship through a parent). You can then begin the naturalization process by submitting Form N-400 (officially called the “Application for Naturalization”) to U.S. Citizenship and Immigration Services (USCIS). Our detailed guide to the naturalization process explains the rest of the steps, eligibility criteria, requirements, costs, and more. When should I apply for dual citizenship? You can apply any time after meeting the eligibility requirements for naturalization, which is usually 3–5 years after getting a green card. For the flat rate of $395, Boundless helps you complete your entire naturalization application, including all forms and supporting documents, independent attorney review, and support from the moment your application is filed until you obtain U.S. citizenship. Learn more about our services, or get started today. Not sure if you qualify for citizenship? Check your eligibility through Boundless without providing any personal or financial information. IMPORTANT: The above list was compiled using research from official and unofficial sources and is intended for informational purposes only. Dual citizenship laws are often complex and can change at any time. As such, Boundless cannot guarantee that the information above is accurate and/or current. It is therefore best to consult the embassy or consulate of your country of origin to learn about its most current dual citizenship policy before applying for naturalization in the United States. Boundless turns all the government requirements for naturalization into simple questions you can answer online, typically in under an hour — compared with days or weeks the traditional way. We make it easy to complete your naturalization application and avoid common problems. Learn more, or get started today. You can also check your citizenship eligibility through Boundless without providing any personal or financial information. What Is the Cost of Applying for Naturalization?